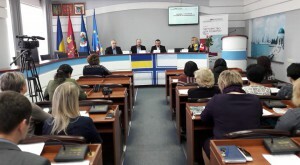 Oleksii Kholod, City Council Secretary, reminded all the attendees that the Memorandum on Cooperation for the Implementation of the International Technical Assistance Project “Partnership for Local Economic Development and Democratic Governance” in Berdyansk was signed between the Federation of Canadian Municipalities and Berdyansk City Council in 2015. 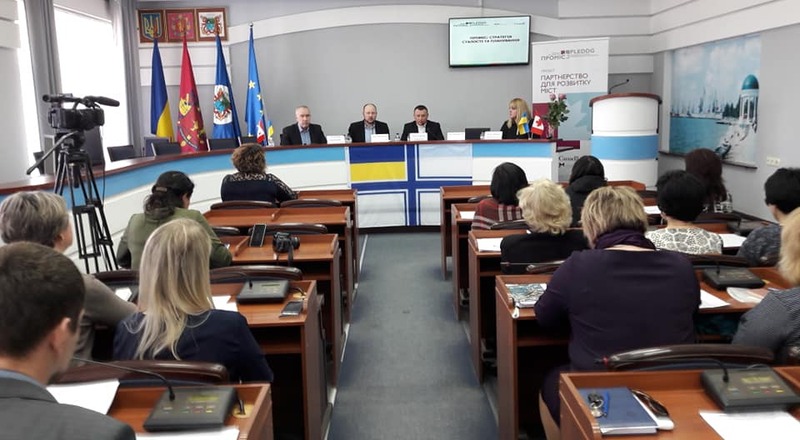 “For an effective implementation of the project “Partnership for Local Economic Development and Democratic Governance” in Berdyansk, the Advisory Committee was established, the main objectives of which were to assist the participants of the territorial community and NGOs in implementation of PLEDDG Project. We have gathered at the Committee’s extended session for summing up the results of implementation of PLEDDG Project and defining the prospects of further joint activity. Supported by experts and consultants from PLEDDG Project, a Berdyansk Development Strategy 2027 and an Action Plan for its implementation were developed, the monitoring system for implementation of the Strategy, the Program for enhancing competitiveness of small and medium-sized entrepreneurship, the project “Public budget – effective interaction system “power – community”” is being implemented, and draft Communication and Marketing Strategies have been developed. Overall, 11 initiatives and projects are being analyzed. We express our gratitude to the Project for the assistance and support and we hope for further fruitful cooperation”, – Oleksii Kholod said. Ihor Lepyoshkin, Senior Expert, Head of Experts Group, spoke about actions aimed at ensuring sustainability of PLEDDG Project results and activity for supporting its implementation. In particular, in the course of discussion of each of 11 initiatives and projects with advisory committee members, attention was given to the importance of outlining the directions which need further support from the Project. There were developed proposals on feasible measures on implementation of the City Development Strategy, support for small and medium-sized business, etc.